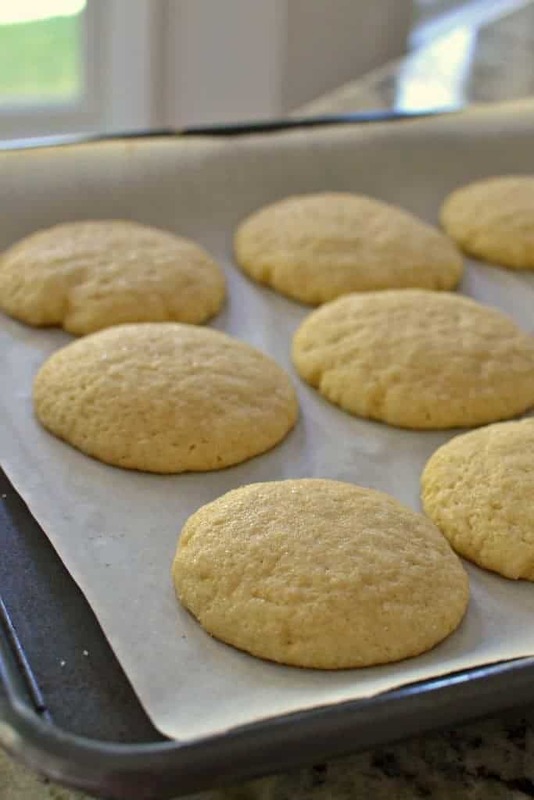 These Homemade Sugar Cookies have crispy edges and soft yet somewhat chewy centers. They are delicious and easy to make. The recipe includes helpful hints on getting these cookies just right. Today is the second day of fall and with this gorgeous season comes lots of awesome things. I just love mums, pumpkins, apple picking and of course cookies. Cookie season is almost upon us. Sugar cookies are indeed heavenly. They are perfect with a tall glass of milk or cup of warm coffee. They are easy to whip up and with some helpful hints you can have classic better than bakery style cookies. First in a medium bowl whisk together flour, baking soda, salt and cream of tartar. Now in a large bowl using mixer cream butter and sugar. Add one egg at a time and mix just until incorporated. Mix in vanilla and add flour mixture in three parts stirring until just blended. Scrape down the bowl and beat again for less than one minute. Cover and refrigerate for 1-2 hours. Roll them in 1 inch balls. Roll balls in sugar and place on parchment covered baking sheets. Gently press the balls down with the palm of your hand until it is about 1/2 inch thick. Bake 10-12 minutes or until the edges are just starting to brown and centers are set. 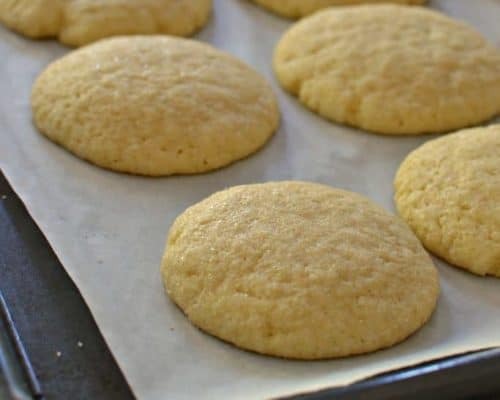 Helpful hints on making Homemade Sugar Cookies! Whip the butter and sugar until light and fluffy. This should take about five minutes on high using a mixer or stand mixer. Don’t over work the dough when adding the eggs, vanilla or flour. Don’t be overly concerned with getting the cookie balls perfectly round. You don’t want to overwork the dough. Make sure the cookie dough is at the right temperature when rolling the balls. If the dough is too warm it will stick to your hands and not roll out into balls quickly. Place back in the refrigerator for 30-40 minutes. This is probably the most important step as the cookies will spread out too fast in the oven if the dough is not cold enough. When in doubt refrigerate for 1-2 hours after mixing dough and in between batches. Make the first batch a test run. Bake one or two cookies. This allows you to make sure the dough has been chilled enough so the cookies do not spread too much and to test baking time. 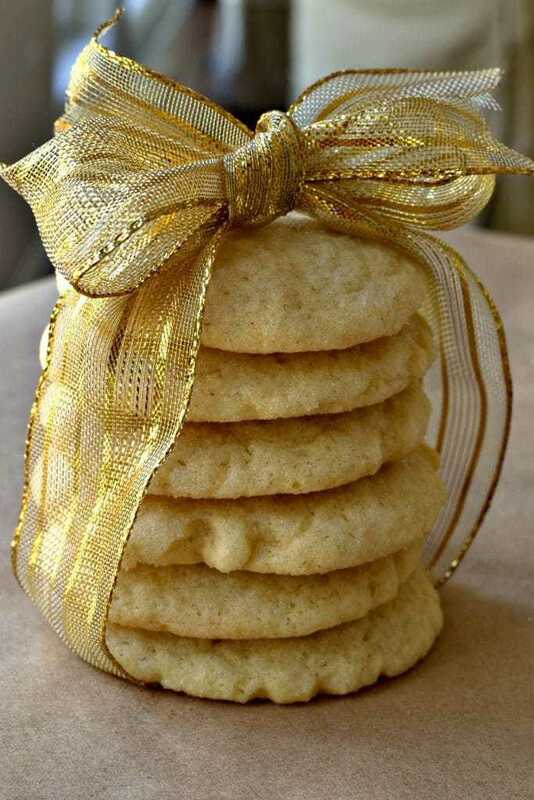 Homemade Sugar Cookies are a DELICIOUS TREAT that the whole family can enjoy. If you are watching your sugar and can only enjoy one here and there freeze them double wrapped in freezer bags and stored in a sturdy freezer container. Remove from freezer containers and thaw at room temperature. Condensation built up in freezer bags is a cookie killer. As soon as they are thawed store in air tight containers. 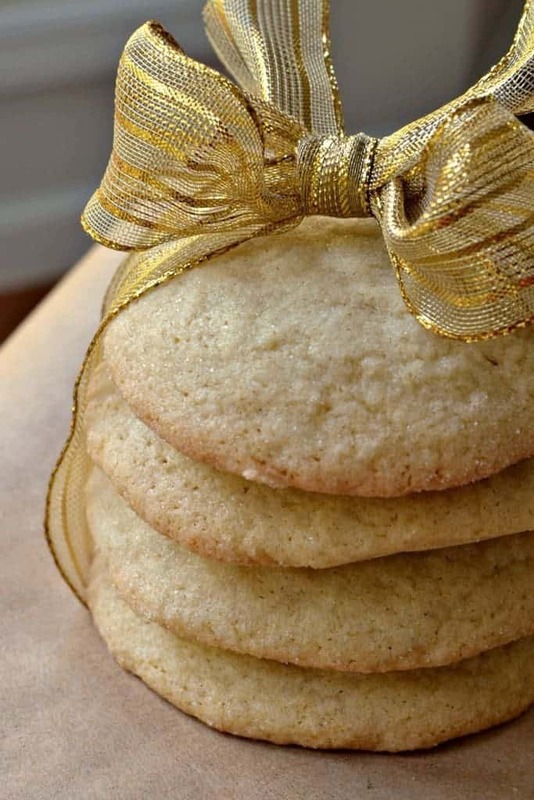 These yummy Homemade Sugar Cookies have crispy edges and soft yet somewhat chewy centers. The recipe includes helpful hints on making these cookies epic. Whisk together flour, baking soda, salt and cream of tartar. Using mixer cream butter with 1 cup sugar until light and fluffy. Turn mixer to low and add eggs one at a time and mix just until incorporated. Add vanilla and mix just until blended. Stir in flour mixture in three parts; scraping down the bowl and beaters. Cover and refrigerate dough for 1-2 hours. Roll the dough in 1 inch balls. 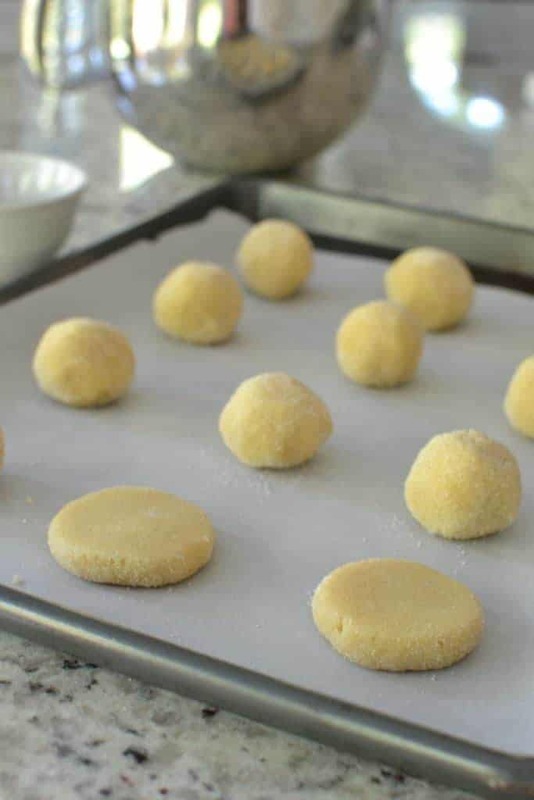 Roll balls in remaining sugar and place on parchment covered baking sheets. Gently press the balls down with the palm of your hand until it is about 1/2 inch thick. Bake 10-12 minutes or until the edges are just starting to brown and centers are set. Cool on cookie cooling racks.